I've featured a few attractive flutinas in the past, but this one proves that plain ones were available too. It's a Busson too, and despite this it didn't attract any bids on Ebay - perhaps the starting bid of £49.99 put people off. 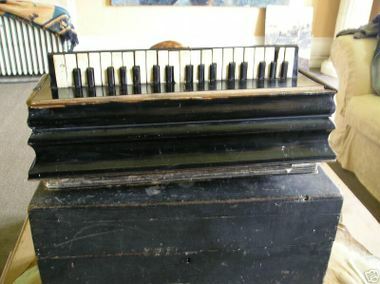 Any info about where to get a black flutina just like the one pictured in here? I think your best chance will be to set up a watch on ebay. Flutinas come up quite regularly. If you look at the search options you can set it up so that it will email you if a flutina is added. I am interested for the flutina busson you had on ebay.It is still for sale?